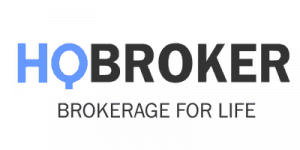 The Nova Scotia Securities Commission has issued a warning that the forex broker HQBroker is not authorized to sell securities in the Canadian province. The Nova Scotia Securities Commission was established to provide investors with protection from activities that undermine investor confidence in the fairness and efficiency of Nova Scotia capital markets and were not inconsistent with investor protection, to foster capital formation. HQBroker offers trading in forex pairs (a fairly limited selection of majors), CFDs on commodities, equity shares, metals and stocks. HQBroker is powered by Capzone Invest Ltd., a company with an operational address in the Marshall Island. It claims to have an office in Hong Kong, China and is targeting investors through its website: www.hqbroker.com. However, the Hong Kong Securities and Futures Commission warns that HQ Broker is not licensed to sell securities there and that the HQ Broker website lists a false Hong Kong address. These two warnings are just an addition to the other alerts for HQBroker issued by the UK’s Financial Conduct Authority in April 2018, and Ontario Securities Commission in July 2018. It is clear that HQBroker should be avoided, as it definitely lacks regulation and doesn’t lack multiple warnings. It is better to choose among brokers licensed by the respective authorities in the UK, or Australia for example.